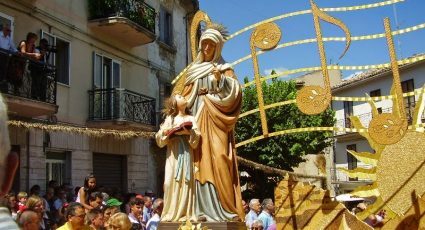 In the small southern region of Molise, the most well known dessert is cauciuni, which are ravioli or fritters, that are stuffed with chickpeas, cocoa, spices (cloves and cinnamon), liqueur and candied fruit. Cauciuni are typical of southern Italian cuisine as vegetables are commonly used in desserts and cakes. These are typical desserts that are prepared during the holidays, especially for Christmas and for the popular Molisan Carnival. 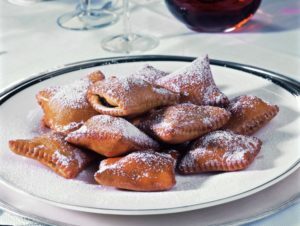 Cauciuni are typically served covered with honey or powdered sugar.